Style Me Pretty's Little Black Book has featured Brittany and Doug's whimsical Whitney Mountain Lodge wedding! This wedding was a dream, one that Brittany had long dreamed of, filled with fairy like details that made everything come together! We are still in awe over all the gorgeous decor that surrounded Whitney Mountain on this day! 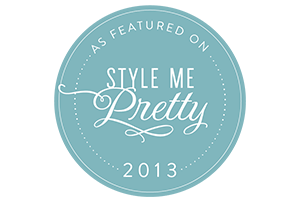 You'll want to see all of this feature on SMP's Little Black Book blog, here! And see more on the Photo Love blog, here!